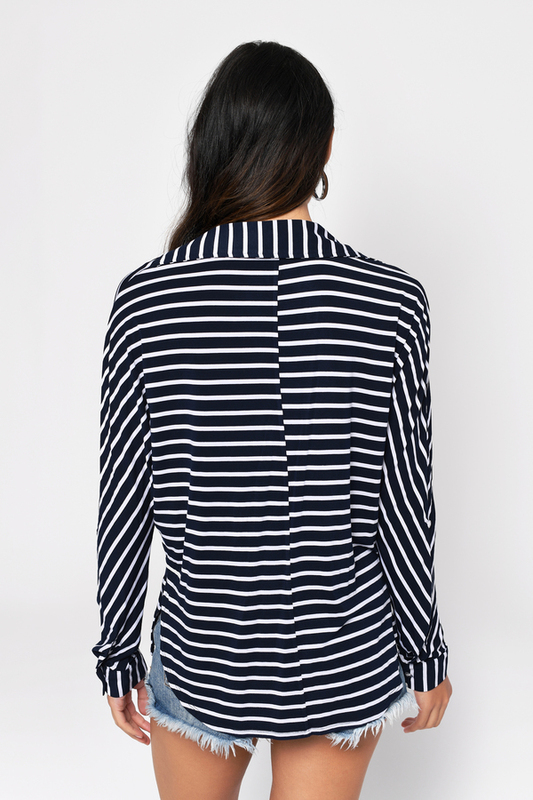 Check out Tobi's Working Gal Striped Blouse Get down to business with the Working Gal Striped Blouse. This features a deep v-neck with a center slit on a soft and stretchy rayon blend. 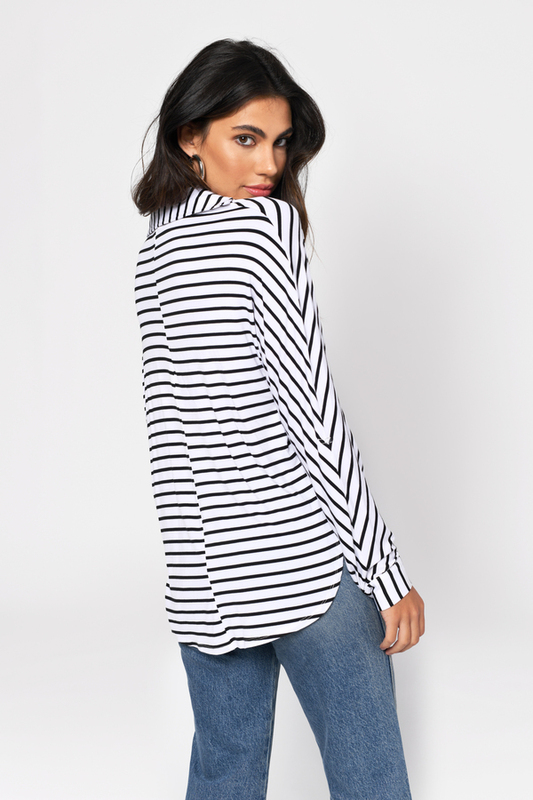 Get down to business with the Working Gal Striped Blouse. This features a deep v-neck with a center slit on a soft and stretchy rayon blend. Navy and White, White and Black modeled on a size Small.